Alfred Edward Housman (/ˈhaʊsmən/; 26 March 1859 – 30 April 1936), usually known as A. E. Housman, was an English classical scholar and poet, best known to the general public for his cycle of poems A Shropshire Lad. Lyrical and almost epigrammatic in form, the poems wistfully evoke the dooms and disappointments of youth in the English countryside. Their beauty, simplicity and distinctive imagery appealed strongly to late Victorian and Edwardian taste, and to many early 20th-century English composers (beginning with Arthur Somervell) both before and after the First World War. Through their song-settings, the poems became closely associated with that era, and with Shropshire itself. Housman was one of the foremost classicists of his age and has been ranked as one of the greatest scholars who ever lived. He established his reputation publishing as a private scholar and, on the strength and quality of his work, was appointed Professor of Latin at University College London and then at Cambridge. His editions of Juvenal, Manilius and Lucan are still considered authoritative. Housman was educated at Bromsgrove School, where he revealed his academic promise and won prizes for his poems. In 1877 he won an open scholarship to St John's College, Oxford, where he studied classics. Although introverted by nature, Housman formed strong friendships with two roommates, Moses Jackson and A. W. Pollard. Jackson became the great love of Housman's life, but he was heterosexual and did not reciprocate Housman's feelings. Housman obtained a first in classical Moderations in 1879, but his dedication to textual analysis, particularly of Propertius, led him to neglect the ancient history and philosophy that formed part of the Greats curriculum. Accordingly, he failed to obtain a degree. Though some attribute Housman's unexpected failure in his final exams directly to his rejection by Jackson, most biographers adduce more obvious causes. Housman was indifferent to philosophy and overconfident in his exceptional gifts; he felt contempt for inexact scholarship; and he enjoyed idling away his time with Jackson and others. He may also have been distracted by news of his father's desperate illness. He felt deeply humiliated by his failure and became determined to vindicate his genius. After Oxford Jackson got a job as a clerk in the Patent Office in London and arranged a job there for Housman too. The two shared a flat with Jackson's brother Adalbert until 1885, when Housman moved to lodgings of his own, probably after Jackson responded to a declaration of love by telling Housman that he could not reciprocate his feelings. Moses Jackson moved to India in 1887, placing more distance between himself and Housman. When Jackson returned briefly to England in 1889, to marry, Housman was not invited to the wedding and knew nothing about it until the couple had left the country. Adalbert Jackson died in 1892 and Housman commemorated him in a poem published as "XLII – A.J.J." of More Poems (1936). Meanwhile Housman pursued his classical studies independently, and published scholarly articles on such authors as Horace, Propertius, Ovid, Aeschylus, Euripides and Sophocles. He gradually acquired such a high reputation that in 1892 he was offered and accepted the professorship of Latin at University College London (UCL). Housman was an atheist. When R. W. Chambers discovered an immensely rare original Coverdale Bible of 1535 in the UCL library he presented it to the Library Committee, where Housman remarked that it would be better to sell it to “buy some really useful books with the proceeds”. Many years later UCL's academic common room was dedicated to his memory as the Housman Room. In his private life Housman enjoyed gastronomy, flying in aeroplanes and making frequent visits to France, where he read "books which were banned in Britain as pornographic". A fellow don described him as being "descended from a long line of maiden aunts". Although Housman's early work and his responsibilities as a professor included both Latin and Greek, he began to specialise in Latin poetry. When asked later why he had stopped writing about Greek verse, he responded, "I found that I could not attain to excellence in both." In 1911 he took the Kennedy Professorship of Latin at Trinity College, Cambridge, where he remained for the rest of his life. 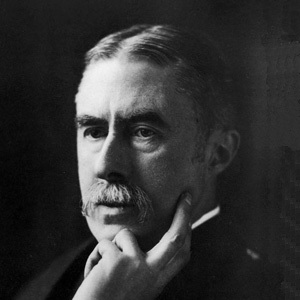 G. P. Goold, Classics Professor at University College, wrote of Housman's accomplishments: "The legacy of Housman's scholarship is a thing of permanent value; and that value consists less in obvious results, the establishment of general propositions about Latin and the removal of scribal mistakes, than in the shining example he provides of a wonderful mind at work. ... He was and may remain the last great textual critic." Between 1903 and 1930 Housman published his critical edition of Manilius's Astronomicon in five volumes. He also edited works by Juvenal (1905) and Lucan (1926). Many colleagues were unnerved by his scathing attacks on those he thought guilty of shoddy scholarship. In his paper "The Application of Thought to Textual Criticism" (1921) Housman wrote: "A textual critic engaged upon his business is not at all like Newton investigating the motion of the planets: he is much more like a dog hunting for fleas." He declared many of his contemporary scholars to be stupid, lazy, vain, or all three, saying: "Knowledge is good, method is good, but one thing beyond all others is necessary; and that is to have a head, not a pumpkin, on your shoulders, and brains, not pudding, in your head." His younger colleague A. S. F. Gow quoted examples of these attacks, noting that they "were often savage in the extreme". Gow also related how Housman intimidated his students, sometimes reducing them to tears. According to Gow, Housman could never remember his students' names, maintaining that "had he burdened his memory by the distinction between Miss Jones and Miss Robinson, he might have forgotten that between the second and fourth declension". One notable pupil was Enoch Powell. Housman found his true vocation in classical studies and treated his poems as secondary. He did not speak about his poetry in public until 1933 when he gave a lecture, "The Name and Nature of Poetry", in which he argued that poetry should appeal to emotions rather than to the intellect. This article uses material from the Wikipedia article A. E. Housman, which is released under the Creative Commons Attribution-Share-Alike License 3.0. ( view authors).